Lead Properties are the contact information shared by each lead in your Wishpond account, such as Email and First Name. 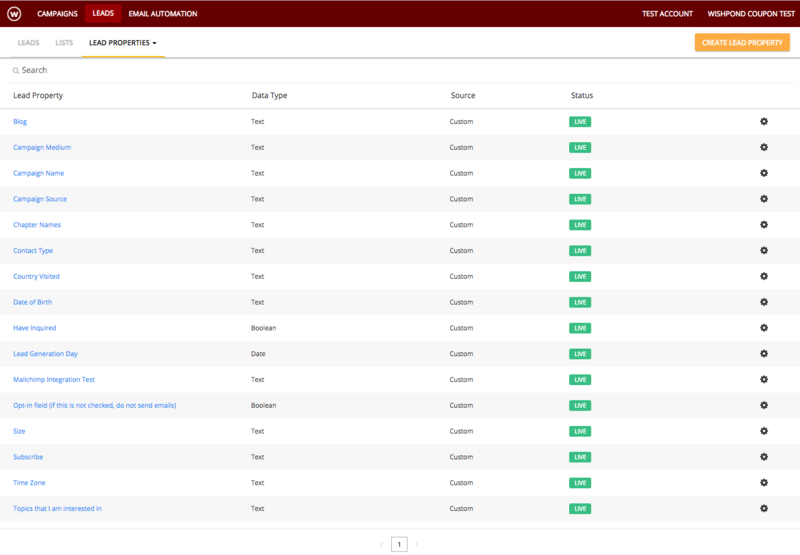 Lead properties are important for keeping your leads organized across different campaigns and lists, but are also used to trigger automation workflows within Wishpond's Marketing Automation platform. 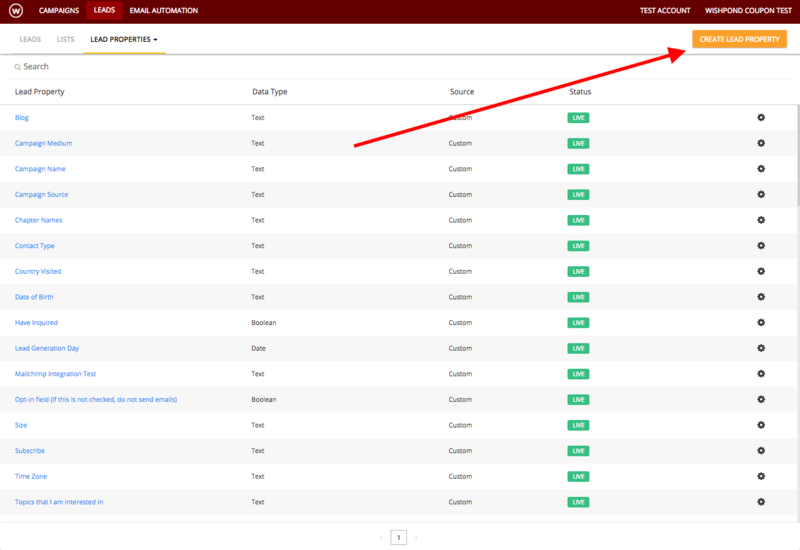 If you click on the small settings wheel on the right of the individual property you can adjust the lead property name and the field type, but you won’t be able to change the key since that is the active identifier in use for that specific lead property. You can adjust the lead property name field type, and etc. You can also choose to hide the lead property, so that it's not usable on your campaigns. But please be careful when you make changes to your lead properties, as this will impact any forms you have that are currently using these lead properties. "Data types" show what kind of data the lead property can handle. It can be a text, date, number, boolean (true or false), and an array (list). "Source" show how the lead property was generated. Any default lead properties like First Name, Last Name, etc will have the source "default." Any custom ones you create, will have the source "Custom." 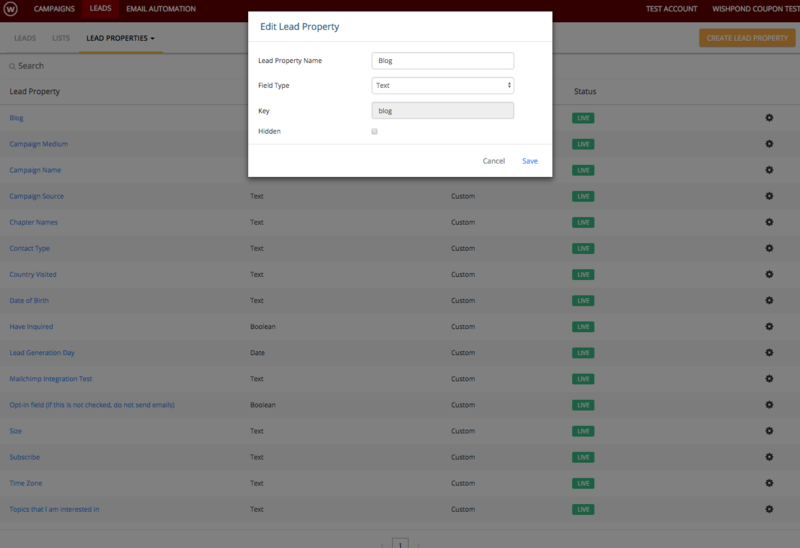 You can create lead properties from the forms on your campaigns, and you can also choose to create custom lead properties from "create lead property" button on the top right.